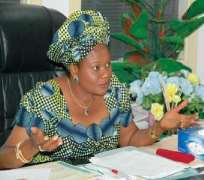 San Francisco (THEWILL) - Nigeria's Information Minister, Professor Dora Akunyili has responded to the inclusion of Nigeria on the US list for tighter screening by the Transportation Security Administration saying it is unfair to discriminate against Nigerians 'because of the behaviour of one person'. Included in the US list are also passengers travelling from or through countries listed as 'state sponsors of terrorism'; Iran, Cuba, Sudan and Syria. As well as Somalia, Saudi Arabia, Pakistan, Lebanon, Libya, Yemen, Afghanistan, Iraq and Algeria. In a statement sent to THEWILL, Akunyili said Nigerians do not have the tendency to commit acts of terrorism thus questioning the rationale behind the US decision. A Nigerian and member of Al-Qaeda Umar Farouk Abdul Mutallab had unsuccessfully tried to blow up a Detroit-bound Northwest plane on Christmas Day. “It is unfair to include Nigeria on the US list for tighter screening because Nigerians do not have terrorists tendency. “Abdulmutalab's act was a one off thing. “He was not influenced in Nigeria. He was not recruited or trained in Nigeria. He was not supported whatsoever in Nigeria. “Abdulmutalab's behaviour is not reflective of Nigerians and should therefore not be used as a yardstick to judge all Nigerians. “It is unfair to discriminate against over 150 million people because of the behaviour of one person. “Abdulmutalab was a well behaved child from a responsible family who developed the ugly tendency to do what he tried to do because of his exposure outside the shores of Nigeria. “Nigerians are peace loving and happy people. We were even voted as the happiest people on earth, the statement added.